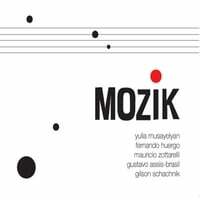 MOZIK is playing at KBCS 91.3 FM Seattle, WA , on their program “Raízes”, presented by Samia Panni. Check out the link above to listen to the archived broadcast of Saturday, June 15th, 2013. Listen to other great artists on the same broadcast: Dom Salvador, Téka Penteriche, Choro Das 3, Christina Braga, forró music from Pernambuco & the nordeste of Brasil and more. Thanks for the support Samia and everybody at KBCS!